Campoy, F. Isabel. 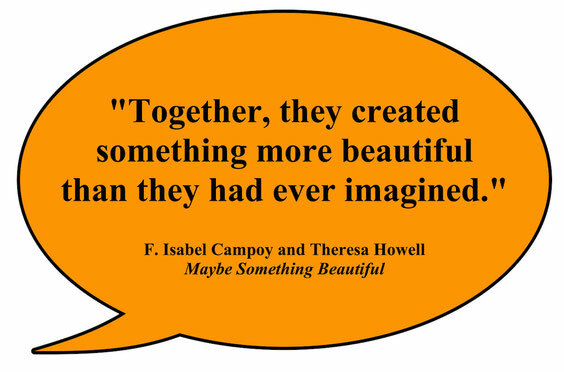 Howell, Theresa. (Illustrated by Rafael Lopez). 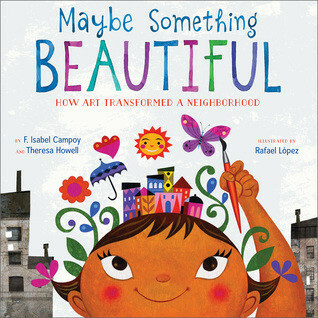 Maybe Something Beautiful: How Art Transformed a Neighborhood. New York: Houghton Mifflin Harcourt, 2016. DiCamillo, Kate. 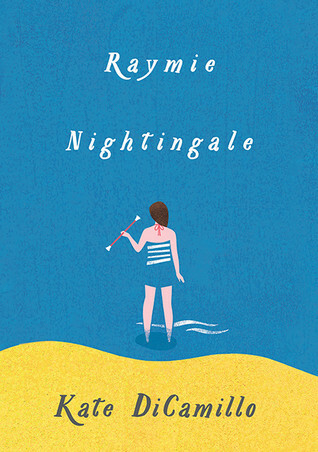 Raymie Nightingale. Somerville, MA: Candlewick Press, 2016. Three girls take baton-twirling lessons to compete in the Little Miss Central Florida Tire competition. Two of the girls need to win the contest. One girl wants to sabotage it. Grace, Gordon. 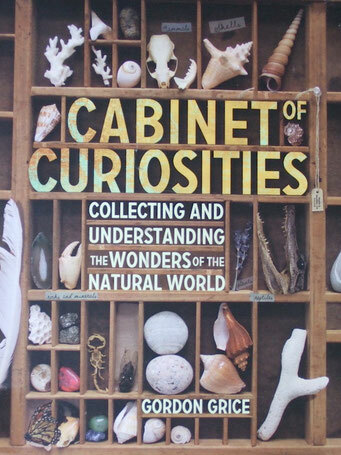 Cabinet of Curiosities: Collecting and Understanding the Wonders of the Natural World. New York: Workman Publishing, 2015. Scientists collect, observe, describe, and identify things in the physical world such as plants, animals and minerals. Read about fascinating collections, and learn how to preserve and organize your own cabinet of curious collections. Henkes, Kevin. Waiting. New York: Greenwillow Books, 2015. Five toy friends are waiting. Each toy waits for something different. 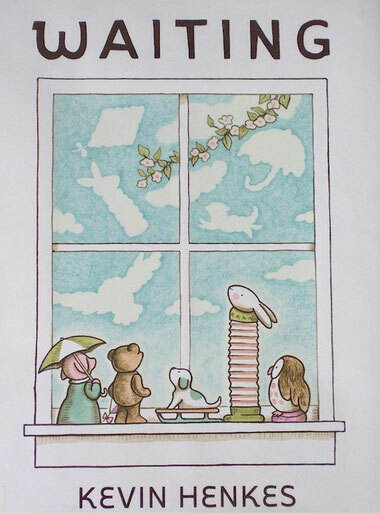 While passing time, they look out the window and observe wonderful things that keep them happy. Henkes, Kevin. 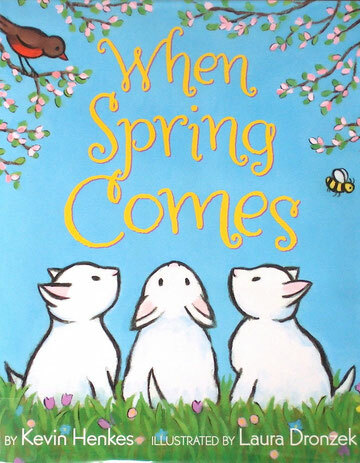 When Spring Comes. New York: Greenwillow Books, 2016. If you wait, spring will come. It comes with sun and lots of rain. You will know when spring is here to stay because you will feel it, smell it, and hear it. Micklethwait, Lucy. I Spy Shapes in Art. New York: Greenwillow Books, 2004. Look for shapes in these famous paintings. Look for colors, lines, and textures too. Choose your favorite artwork, and make up a story about it. Pennypacker Sara. 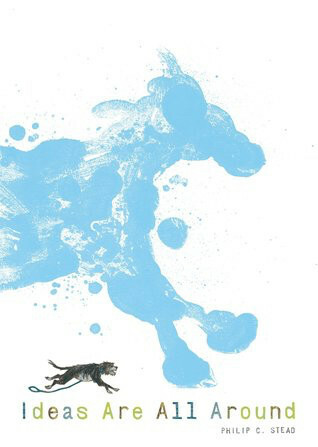 (Illustrated by Jon Klassen). Pax. New York: HarperCollins, 2016. 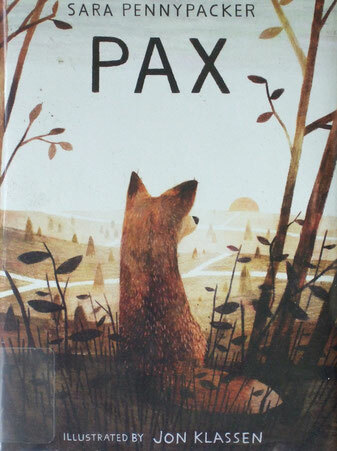 Pax, a fox, is rescued by “his boy” twelve-year-old Peter. Pax and Peter become inseparable. When forced to break their powerful bond, both of them discover strengths and the true meaning of family. Stead, Philip. Ideas Are All Around. New York: Roaring Book Press, 2016. A writer runs out of ideas for stories. His dog doesn’t like him to write stories, so they go for a walk. They see a painted turtle, ducks, a train, their friend Barbara, and lots more. Winter, Jonah. 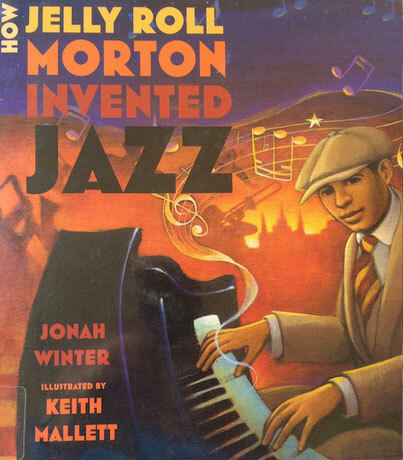 How Jelly Roll Morton Invented Jazz. 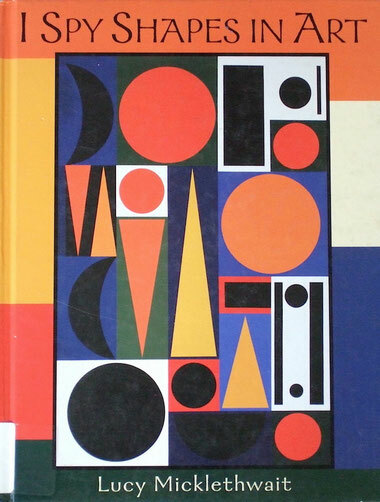 New York: Roaring Brook Press. 2015.